The San Polo Hotel is not another hotel. This precious building, located in the heart of the city, shares its space with the ruins of the Roman church of San Polo, from the XI Century. 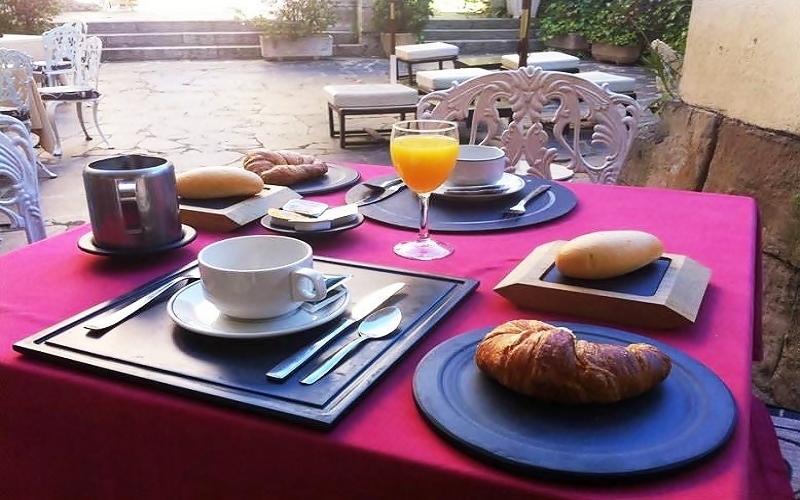 The hotel has a great location in the old part of the city, just 300 meters away from the Main Square and 200 meters away from the cathedrals. 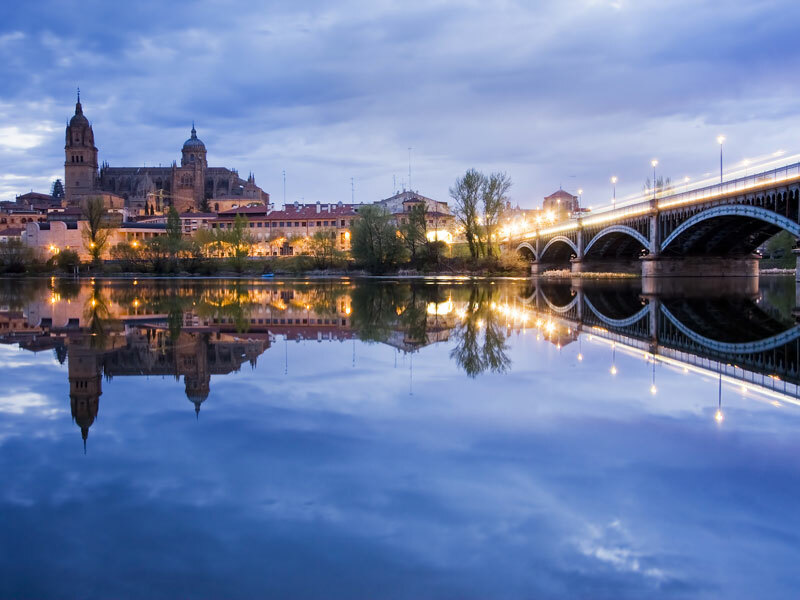 Thanks to this location, our hosts will be able to enjoy amazing views of the main monuments of Salamanca: Cathedrals, Huerto Calixto and Melibea, and the Convent of San Sebastian. We offer you 37 beautiful rooms, elegantly decorated keeping the charm of the old area of the city and with incredible views of Salamanca. Surround yourself by the charm of the tradition. 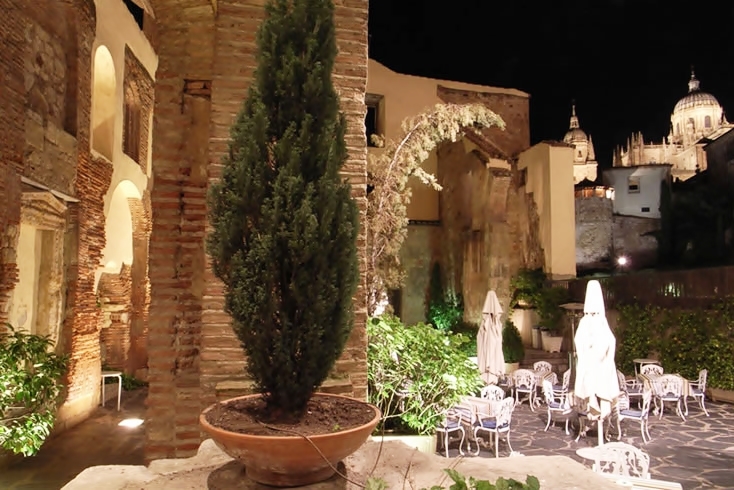 The ruins of the Church of San Polo are integrated into our hotel. 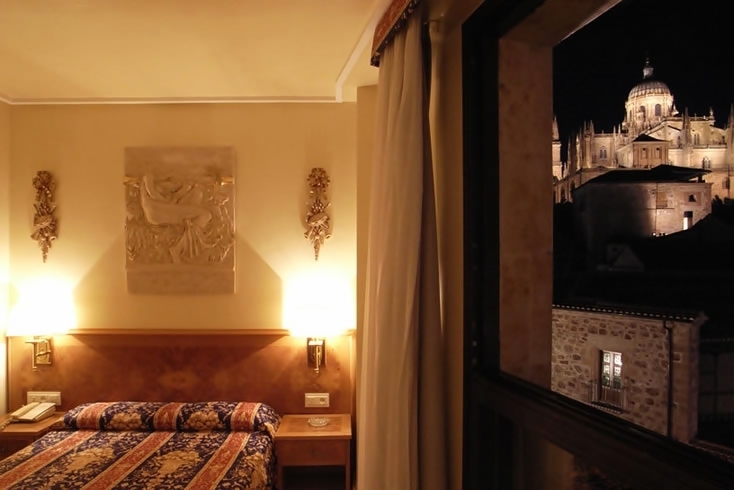 You'll enjoy the history of Salamanca and the spectacular views from our rooms available. Well we offer a 10% DSTO in your reservation.